La Sagrada Família (also known as Basílica i Temple Expiatori de la Sagrada Família) was arguably Antoni Gaudí's greatest work. 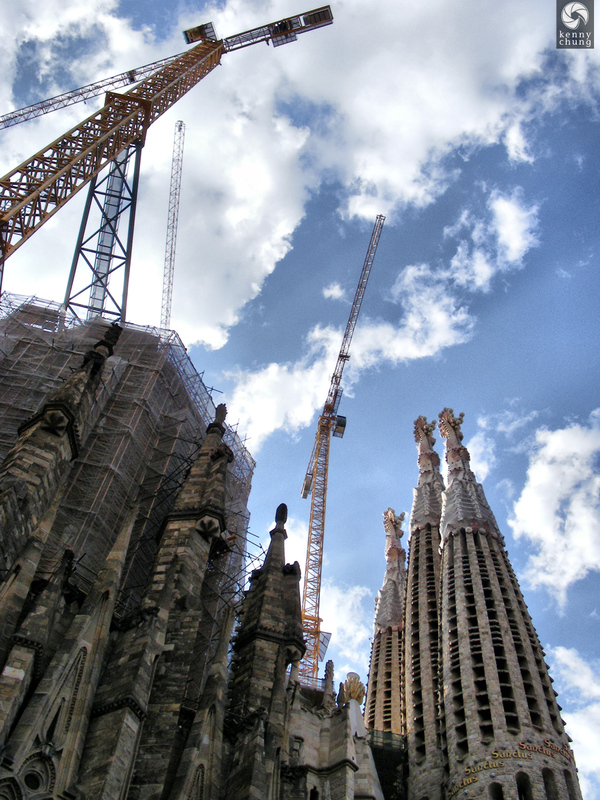 Constructuion began in 1882 and is not slated to finish until 2026. 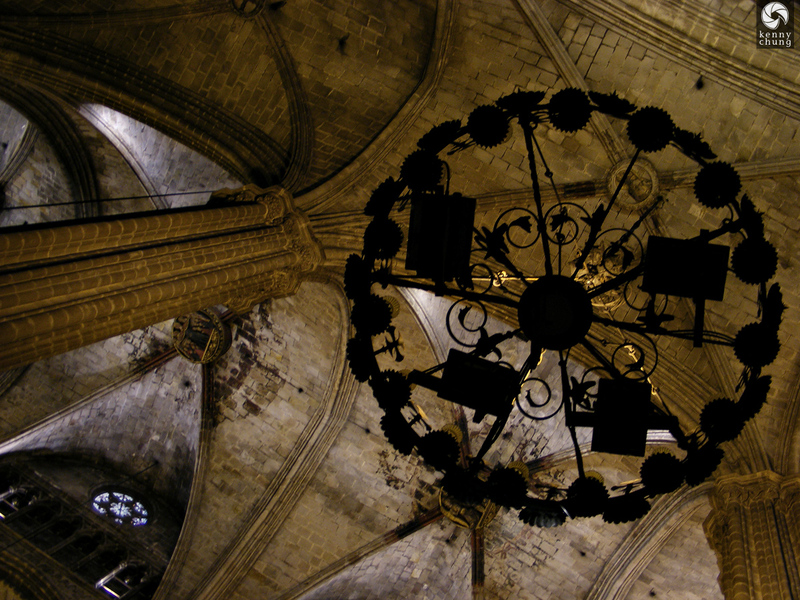 This page You can view interior shots of the structure at the La Sagrada Família (interior) page. 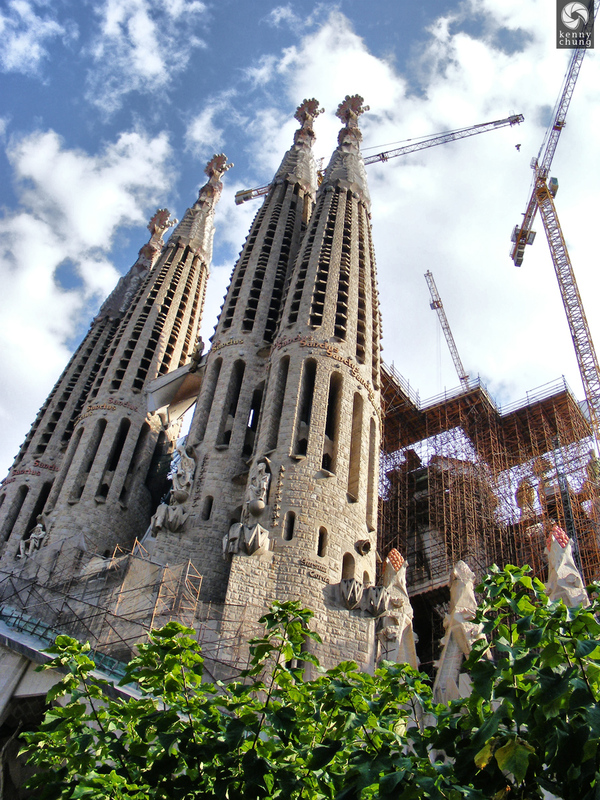 Four of the very imposing spires of La Sagrada Família. 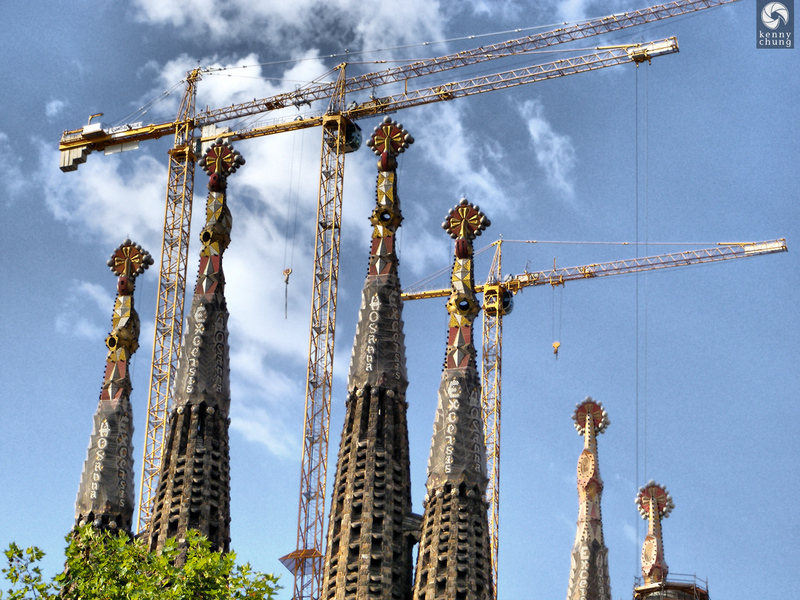 Cranes working on La Sagrada Família. The size of the cranes themselves were very impressive. 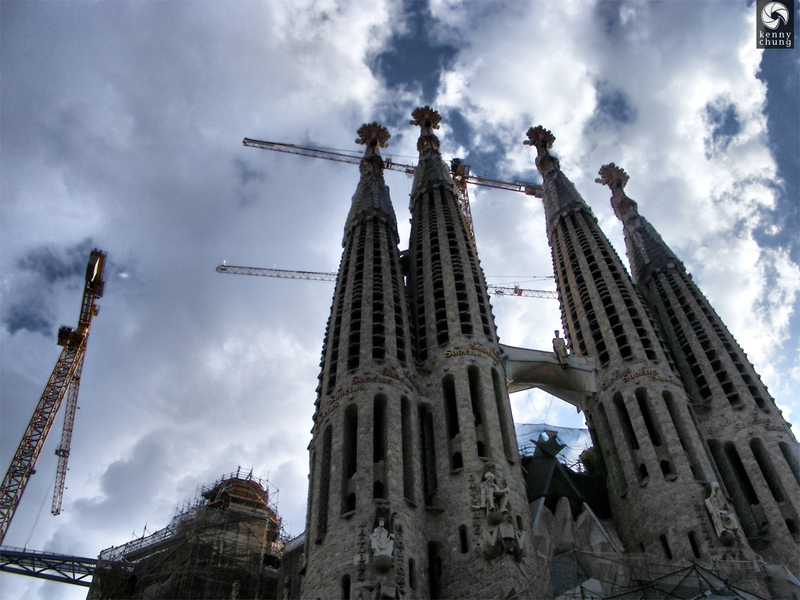 The towers feature biblical names like "Excelsis," "Sanctus," and "Hosanna." 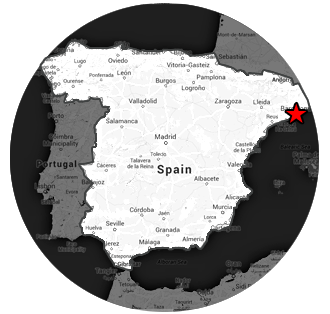 Gaudí studied the natural world extensively and incorporated patterns and ideas into his work in order to be more harmonious with the existing landscape. 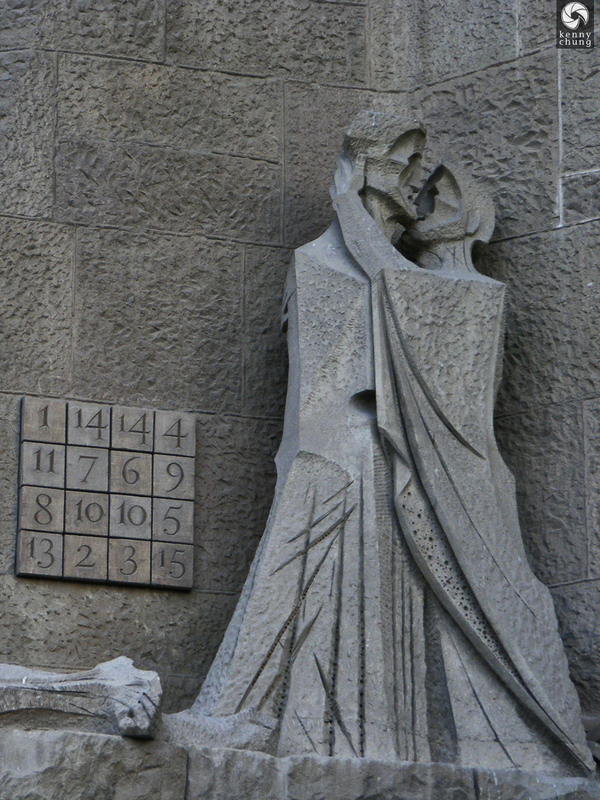 A magic square (all rows, columns and diagonals add up to the same amount) and two statues embracing. 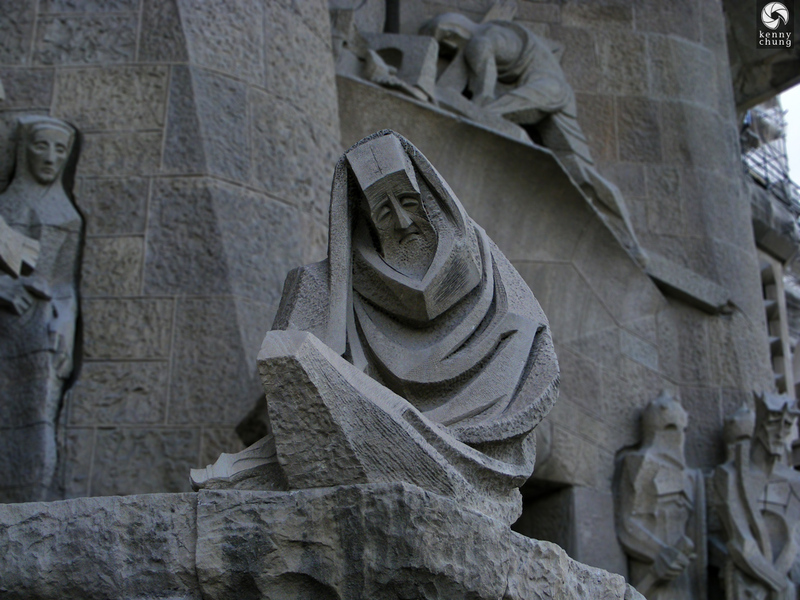 A particularly sad statue among others on the outer façade of La Sagrada Família. 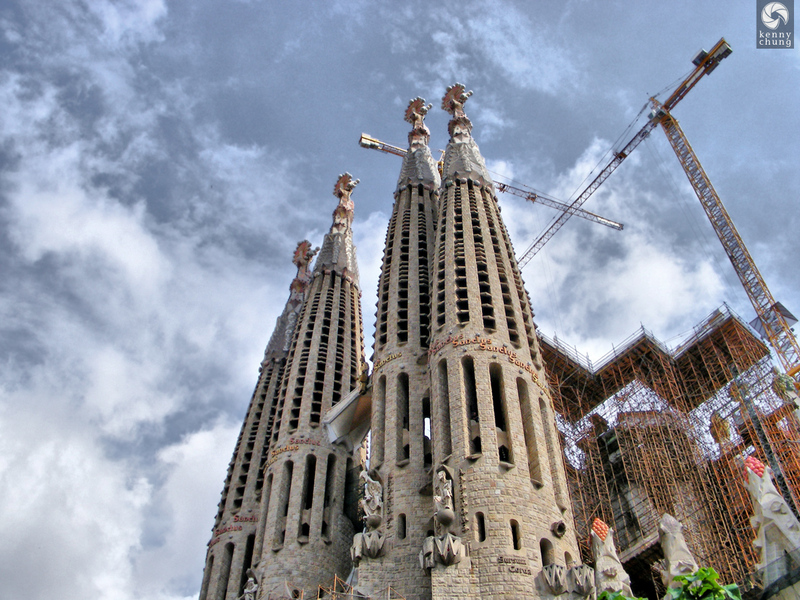 Every picture of La Sagrada Família reminds me of the album name "Lift Your Skinny Fists Like Antennas To Heaven" by the band Godspeed You! Black Emperor.